Description: This NBA 2K13 playoffs save file allows you to play as the Miami Heat in eastern conference finals and you will face the Indiana Pacers on game 5 (series tied at 2-2). 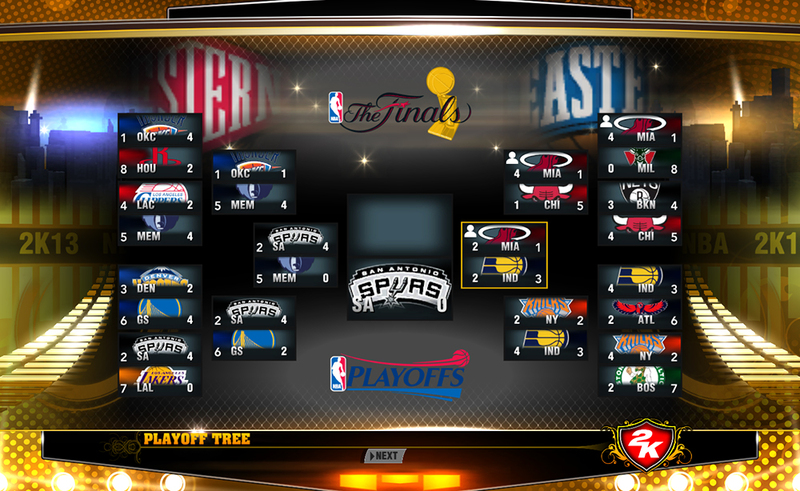 San Antonio Spurs already won the western conference finals after defeating the Memphis Grizzlies (4-0). If you win against the Pacers, you will face the Spurs in the NBA Finals.